LORI S. HOBERMAN is a well-known force in the in the New York City venture community. She advises entrepreneurs and investors on how to build successful businesses and strategically guides them through the emerging, later stages and exits of their companies. As a lawyer and mentor, Lori works with clients in a range of industries, including mobile, biotechnology, artificial intelligence, e-commerce and advertising. She also counsels angel and institutional investors in their investments and in the formation of investment funds. Lori is a co-founder of IMG Labs, a new innovation incubator. She is also a co-founder of mobile advertising company, Mojiva Inc., and an occasional angel investor. 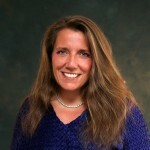 Lori is a frequent speaker and media resource on entrepreneurialism. She is a Mentor to 37 Angels and she chairs the NYC Chapter of the MIT Enterprise Forum, through which she recently organized a week-long summer program in entrepreneurship for NYC high school girls. NYC startup news blog, AlleyWatch, recently named Ms. Hoberman as one of “20 Awesome People in the New York Tech Scene You Need to Know About.” After years of advising entrepreneurs, first as the head of Fish & Richardson’s Venture Capital practice and most recently, as Chair of Chadbourne & Parke’s Emerging Companies/Venture Capital Practice, she has decided to become an entrepreneur herself. She founded her own firm, Hoberman Law Group, in the fall of 2014.